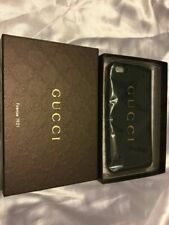 ITEM: Gucci Italy Guccissima GG Monogram iPhone/iPod Touch Rubber Slip Case (Gray Colorway). Good condition with light signs of wear around the edges. See photos. No other issues. Gucci box included.